A federal judge sentenced Peter Madoff to 10 years on Thursday for his role in helping his brother Bernard cover up the most notorious Ponzi scheme in history. That's the sentence that federal prosecutors had sought for Peter Madoff as the result of a plea deal. He pleaded guilty, on June 29 in U.S. District Court for the Southern District of New York, to the charges of conspiracy and falsifying investment records. Madoff had admitted to lying to clients and the Internal Revenue Service while working with his older brother Bernard at their financial firm, which had been a front for a pyramid-style scheme since at least the 1970s. Peter has said he was shocked at his brother Bernard's arrest on Dec. 11, 2008 and that he didn't know his brother was stealing. But he also explained to prosecutors how he concealed information from the feds. He admitted such details as filling out financial forms with different colored pens to create the false impression that the forms were filled out on different dates. "I am deeply ashamed by my conduct," said Peter Madoff before being sentenced on Thursday, where he said that he was "sorry" for his misdeeds. "I have tried to atone by pleading guilty. I accept full responsibility for my actions." Defense lawyer Russell Wing said that, unlike his brother Bernard, Peter was "not a knowing participant" in the Ponzi scheme. "Peter Madoff is not Bernie Madoff," said Wing, addressing the judge. Judge Laura Taylor acknowledged that "perhaps he didn't didn't know about the wider Ponzi scheme," but that Peter nonetheless "contributed" to the scheme and engaged in "calculated, long-term crimes of deception," including lying to the feds to conceal the size of his firm and its activities. The judge said that even as the existence of the Ponzi scheme became obvious, Peter Madoff helped his brother prepare more than $300 million worth of checks for family members, and took out $200,000 in cash for himself. "The enormity of the criminal activity that led to this day cannot be underestimated," said the judge. A couple of dozen victims attended the sentencing and were allowed to address the court. "I ask you to show the same compassion to Peter Madoff that he showed to us: none," said Michael DeVita, an investor who lost an undisclosed amount of money to Madoff's firm. Peter is the latest Madoff family member or associate to appear in court for participating in the Ponzi scheme, where thousands of victims lost an estimated $20 billion. Bernard was sentenced to 150 years on March 31, 2009, just three months after his arrest, when he pleaded guilty to running the largest, most sweeping Ponzi scheme ever. He currently resides at a federal prison in Butner, N.C.
Bernard Madoff masqueraded his scheme as a legitimate Wall Street firm. His victims thought they were investing their money in the markets, but Bernard was actually using the money to fund a lavish lifestyle for himself and his wife Ruth. They owned a $7 million Manhattan penthouse as well as luxurious homes in Florida and France, along with a yacht and a collection of expensive jewelry. Bernard tried to insulate his family members and associates from the legal fallout resulting from his arrest, but those efforts failed. Five of his former employees face a total of 33 federal charges, including Daniel Bonventre, Annette Bongiorno, Joann Crupi, and computer programmers Jerome O'Hara and George Perez. Their court date is set for October next year. Bonventre, the former operations director for Madoff's firm, was charged with conspiracy, falsifying company records and securities and tax fraud. 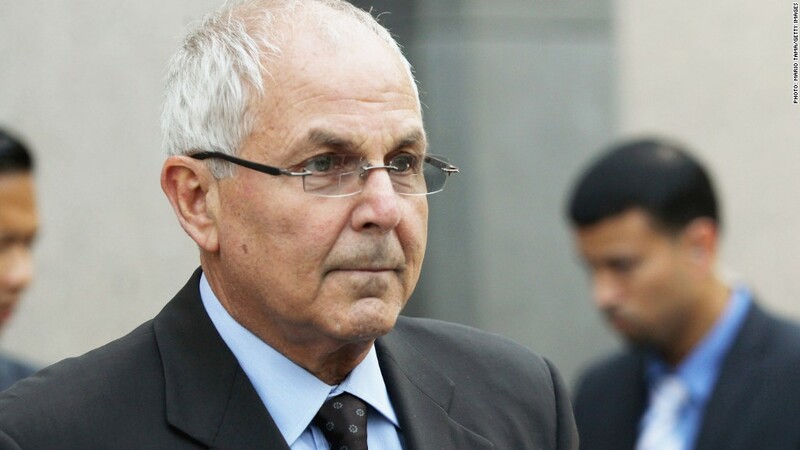 In addition, Irwin Lipkin, the former controller of the Madoff investment company, pleaded guilty in November to federal charges of falsifying documents and conspiring to commit securities fraud. He admitted to making false filings to the Securities and Exchange Commission. Madoff's former accountant, David Friehling, pleaded guilty in 2010 to nine counts including securities fraud, investment adviser fraud, false filing with the SEC and tax-law violations. He could face up to 114 years in prison, but his sentencing has been postponed multiple times. One of his sons, Mark, committed suicide in 2010, on the second anniversary of Bernard's arrest. Earlier that year, his wife had filed for a name change. By then the name "Madoff" had become synonymous with "Ponzi." Bernard's wife and two sons were not charged with crimes. But Irving Picard, the court-appointed trustee in the Madoff asset recovery, sued Ruth for than $40 million. Lawsuits against the Madoff family total about $200 million. Bernard Madoff was constantly under pressure to find new victims for his scheme, which fell apart in tandem with the recession, as the growing demand for remittances outweighed the amount of fresh money coming in.